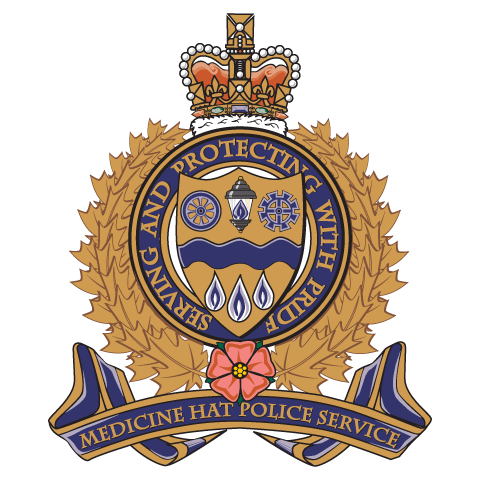 The Medicine Hat Police Service 10 Year Service Medal came into existence on May 22, 2008, by order of the Medicine Hat Police Commission. The medal recognizes police officers and peace officers of the Service who have provided ten years full time service in a manner characterized by good conduct, industry and efficiency. For the purposes of this award, full time service does not include any period of leave to serve with the Armed Forces or another agency, or organization unless the period was a developmental secondment approved by the Office of the Chief. In addition, it does not include any period of time that a police officer or peace officer was on a leave of absence for any reason. If the periods of service are not continuous, each period of service is calculated to the nearest month, and the total service must meet or exceed 120 months. This medal may be awarded posthumously. The Office of the Chief may present the medal to a member at a Service Parade or other appropriate function as determined by the Office of the Chief.